I’m not a fan of them, as those who know me well will testify. Brief forays into rabbit or guinea pig ownership as a child were enough to convince me that pets were not for me. A fear of dogs from an early age led to a general avoidance of all things four legged, furry or winged. They’re just saying hello are words that, quite frankly, make me cross. Leave me alone. I won’t annoy you, so please don’t annoy me…. has generally been my motto around other people’s beloved pets, with one or two exceptions. But I am fascinated by the adoration and reverence afforded to our nations pet animals. Cats, dogs, hamsters, rabbits, guinea pigs, stick insects and the like. Why? Why do people go to so much expense, time and effort for these creatures? Surely their life would be easier without them? Just think of the vets bills. And what about the commitment? The lack of freedom when you’ve always got to find someone to feed the fish or put the cat out when you are away? Or the expense of a cattery or kennels or as is most fashionable these days a pet/ house sitter. And then there’s the poo. I’ll stop there. I don’t get it. But I do accept it. I have no right to criticise people who are pet owners. They know the costs but they think more of the humanity of owning a pet. The benefits. The joys. All that owning that pet will bring to their lives and the life of their pet. They are not selfish people. They get it, I don’t. I do, however, get the desire to care for, love, receive and give affection to another. The humanity of caring, nurturing, treasuring and enjoying another being. Once freely available and cruelly imported to this country before the law was tightened and permits for keeping them were introduced. For humane reasons. Tortoises make great pets according to some. They sleep for months on end, don’t need to be taken for a walk and children adore them. Oh and they happen to live for decades. They may even outlive their owners! A fact that clearly hasn’t put off the increasing number of people who now keep tortoises as pets. According to a recent article in The Telegraph, we as a nation (UK) spent a whopping £6 billion on our pets last year. Heartless animal avoiders like me might argue that this money would better spent elsewhere. On the NHS, for example, or in our schools. Yet…. these are attitudes that families of people with Down’s syndrome come across frequently, especially in the media. Worse still, expectant parents are faced with an ever increasing pressure for their unborn to be screened for the condition with the rolling out of a new pre natal screening test – known as NIPT. (Non Invasive Prenatal Test). It’s so expensive to care for a child with Down’s syndrome. They are a burden on society. Well, who’s going to care for them when you’re too old? They will outlive you. How do you feel about that? Society is better off without them. It’s selfish to knowingly bring a child with the condition into the world. It’s not fair on the siblings. These are, shockingly, all real opinions that have been put to families like mine all too frequently. Not only to us but also to parents who, after hearing them from various sources, decide they can’t go through with a pregnancy that has been declared defective by the detection of an extra chromosome. My question is this. If, as a nation we can pride ourselves on our passion for pets and place high value on their humane treatment and care – however long they live, why can’t we do that for people like Hazel? For those yet to be born? Consider the humble tortoise. Mistreated and now, thankfully, protected. Cherished even. Why, if we consider ourselves a humane society, is protection seemingly too much to ask for those with an extra chromosome? We appear to have forgotten the definition of this powerful six letter word. 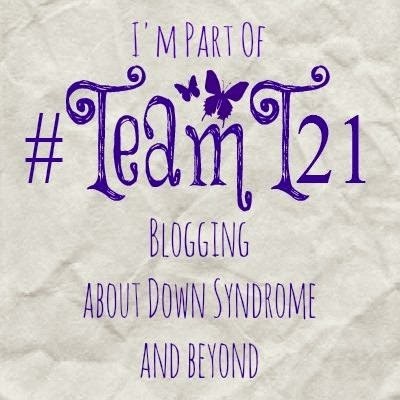 Categories: Abortion, Acceptance, Down Syndrome, Down's Syndrome, Prenatal Testing, Trisomy 21, Uncategorized | Tags: #caring, #dontscreenusout, #downssyndrome, #downsyndrome, #humane, #humanity, #NIPT, #pets, #pregnancy, #tortoise, #Trisomy21 | Permalink.